“The Wolfpack” looks at six brothers who grew up as virtual prisoners of their father in NYC high-rise public housing. They learned about the outside world mostly from voraciously consuming movies on VHS and DVD. Theirs is a once-in-a-lifetime story that deserves — demands — a brilliant documentary filmmaker to do it justice. Well, director Crystal Moselle isn’t brilliant. Given all the gaping holes in her film, one hesitates to rate her higher than just competent. 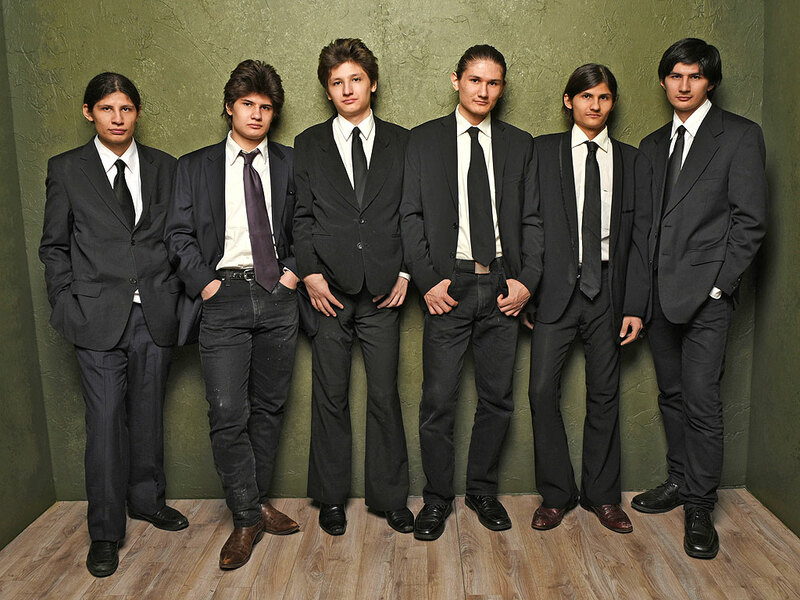 Moselle discovered the six Angulo brothers — all of them tall, thin, with waist-length hair and dressed in black suits and ties like characters from “Reservoir Dogs” (one of their favorite films) — on the streets of the Lower East Side near their home. Only a few weeks before the oldest son, Bhagavan, had defied his father by leaving the apartment on his own to experience life at ground level. Now Bhagavan was leading his five awestruck brothers on a tour of their neighborhood. Moselle, an aspiring filmmaker, was absorbed by this spectacle, got to know the boys, and was the first outsider invited into their home. Over years she filmed their activities in and out of the cramped apartment. One problem with “The Wolfpack” is that this backstory isn’t even mentioned in the film. You’ll have to learn about it from other sources (the ABC show “20/20” recently did a major story on the Angulos that plugs lots of narrative holes). The sticking point here is the strict cinema verite style Moselle employs. No narration. No formal interviews. No graphics. Not even onscreen titles that would identify the boys by name (they look so alike it’s hard to tell them apart). In dribs and drabs we learn that the boys’ father, Oscar — a Peruvian who at one time gave tours of Inca landmarks — decided years ago to shield his brood from the sins of the world. Believing himself a mystic, Oscar gave his children Sanskrit names (Makunda, Govinda, Jagadosa) and kept their apartment door locked. He held the only key. His American wife, the former hippie Suzanne, went along with this despite misgivings. She got a teaching license so as to home school the children (there’s a seventh child, a girl, who appears to have developmental issues). And so — with the exception of perhaps a handful of excursions each year — the boys grew up in isolation.